Rudolf “Bulle” Zwesken was born on 13 August 1919 at Marschendorf in the Mährisch-Schönberg region of Sudetenland. Little is known about his career. He served in 1./JG 52 on the Eastern Front and in 1944 he flew in 6. (Sturm)/JG 300. He was awarded the Deutsches Kreuz in Gold during 1944. 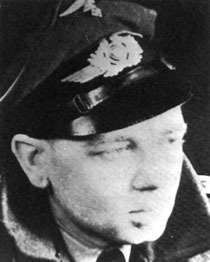 On 21 March 1945, Zwesken received the Ritterkreuz and was promoted to Oberleutnant. Rudi Zwesken shot down 52 enemy aircraft, probably more than 25 victories on the Western Front (many of them were four-engined bombers).